Robbie Avenaim’s practice spans the domains of free improvisation and avant-garde composition. For over twenty-five years, he has been at the forefront of the Australian experimental music scene both as a performer and a curator. 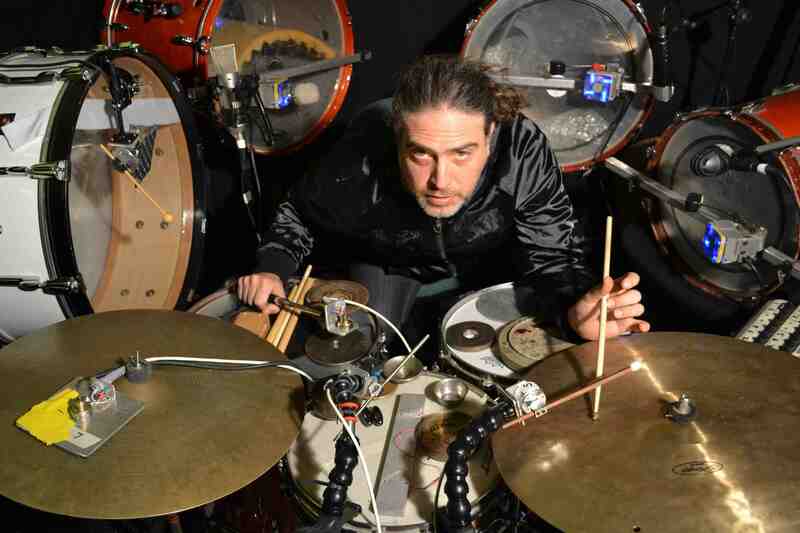 Focussed primarily on percussion and instrument-building, he has developed a unique approach to performance that draws upon traditions ranging from non-idiomatic improvisation to aleatoric structural approaches and more formalised compositional frameworks utilising both extended and traditional techniques and percussive automation.